Used by Professionals the world over. Nut Sauce is the Guitar Techs and Players secret to staying in tune and ending string breakage! 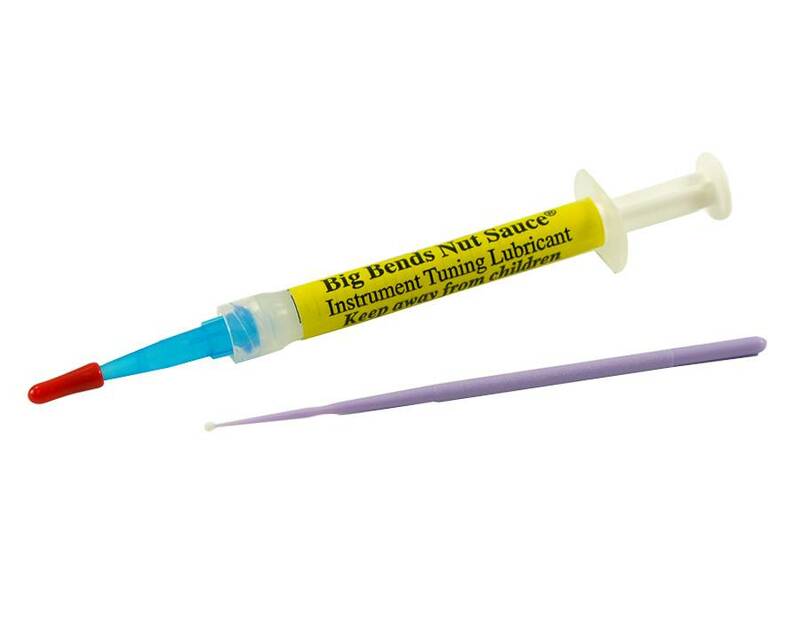 Nut Sauce is a cutting-edge lubricant that is applied to the nut, bridge, string guides and pivot points of the bridge. It is clean and safe, will not run or drip, and is non-staining. Nut Sauce is entirely synthetic and contains no petroleum products. Nut Sauce has the lowest co-efficiency of friction of any product of its kind in the world. 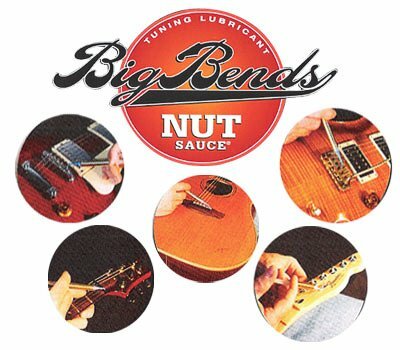 That means nothing can keep you in-tune or reduce string breakage like Big Bends Nut Sauce! Nut Sauce unleashes a player's talent by removing concerns about tuning and string breakage. Nut Sauce also stops wear and tear at the bridge and nut, increases sustain and harmonics, and improves overall playability of any stringed instrument.